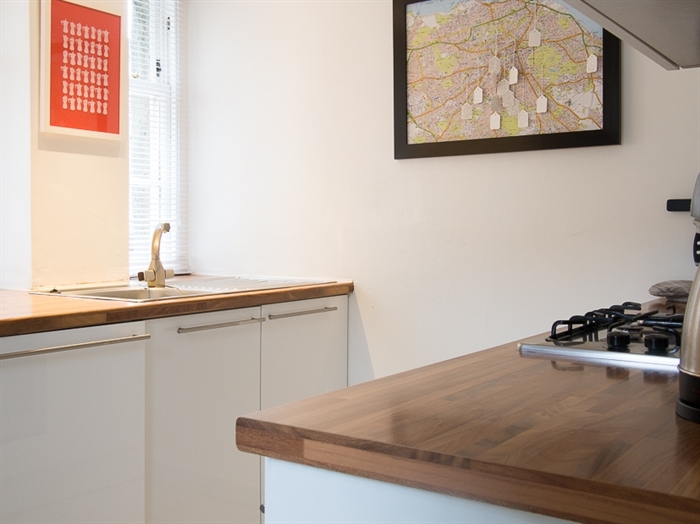 Spacious and comfy retreat in the heart of the Old Town, just off the famous Grassmarket. 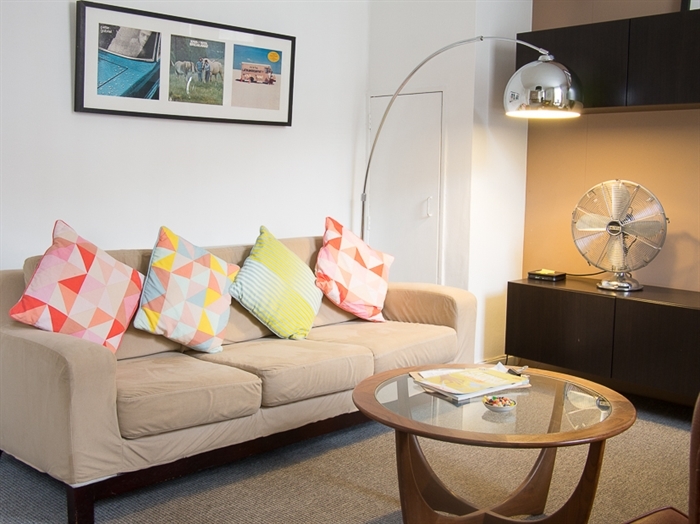 The apartment is amazingly located, a short walk from all the main sites. 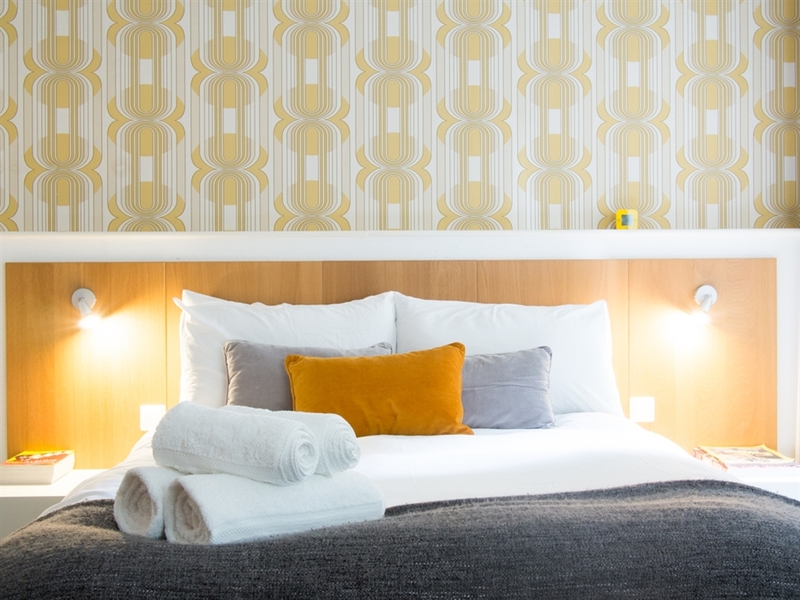 Super comfy bed, fluffy towels and home baked treats make this the ideal stay. 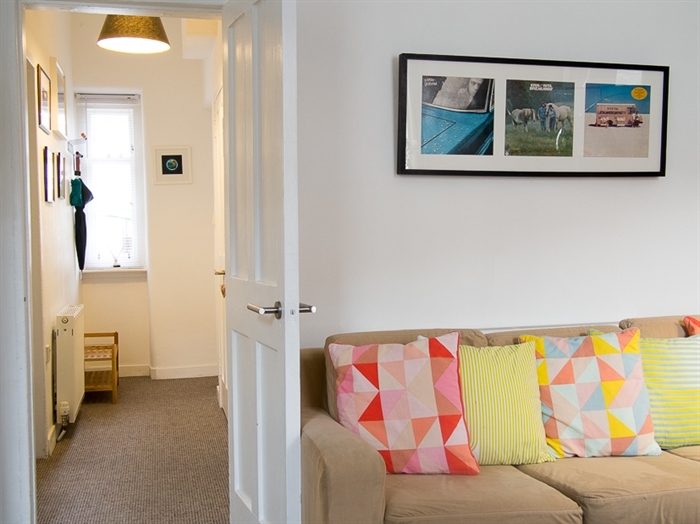 Our apartment is quietly located on the ground floor of a small apartment block with its own private entrance. Heriot Bridge is a quiet street; you’ll get a good night’s sleep even though you’re in the bustling heart of the Old Town. The living room has a comfy three-seater sofa, vintage G Plan wingback chair, dining table, HD TV, Bluray player, stereo, and WIFI. 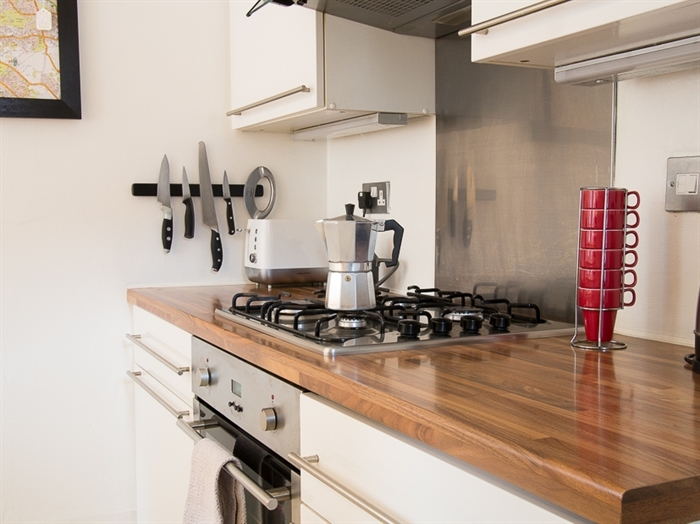 The bright kitchen is well-stocked with complimentary breakfast cereals, milk, tea and good coffee and you’ll find all the kit you need if you want to cook. 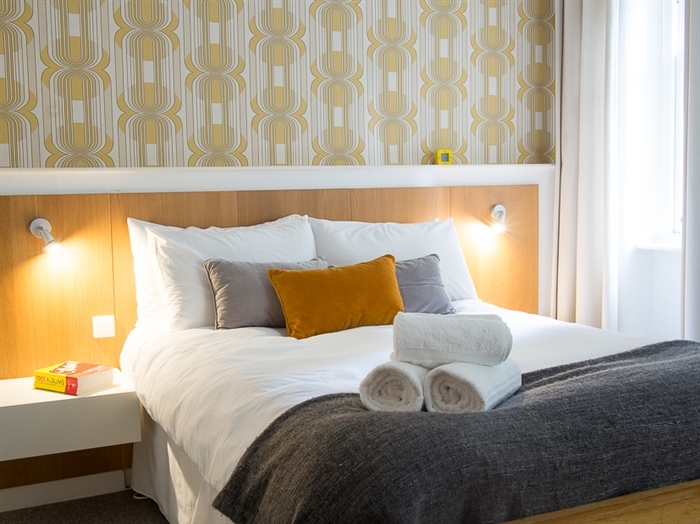 The luxurious bedroom has a comfortable double bed with crisp, white Egyptian cotton sheets and lots of storage space. 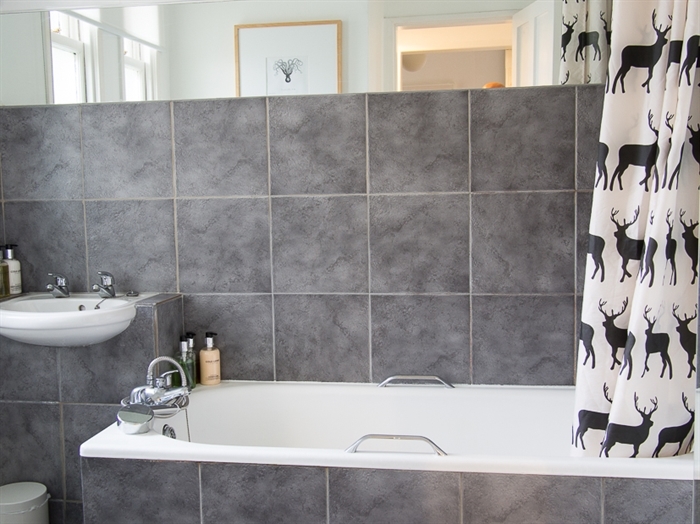 The bathroom has a bath and shower and we provide a full range of toiletries (shampoo, conditioner, body wash, hand wash and body lotion) and a powerful hairdryer, so you can travel light. Each guest gets a set of fluffy white towels. Guests have the whole apartment to themselves, the apartment is on the ground floor, but set back from the main road via a ramp or stairs. The apartment has its own private front door accessed via a square which looks out towards the castle. 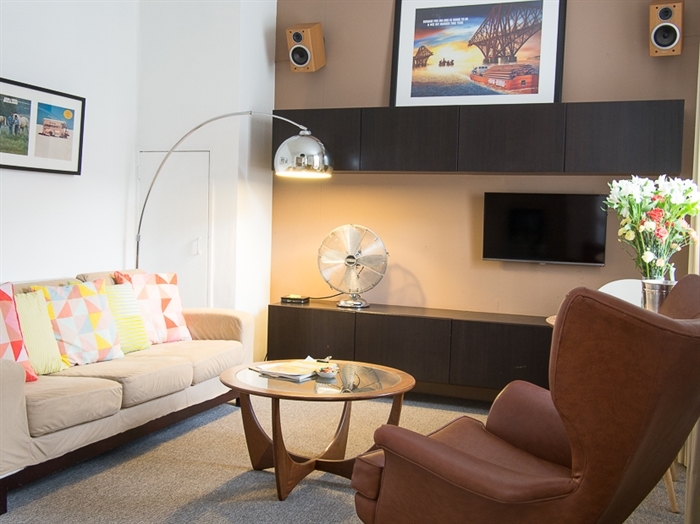 All amenities in the apartment are there for the guests to use and enjoy including free WIFI. 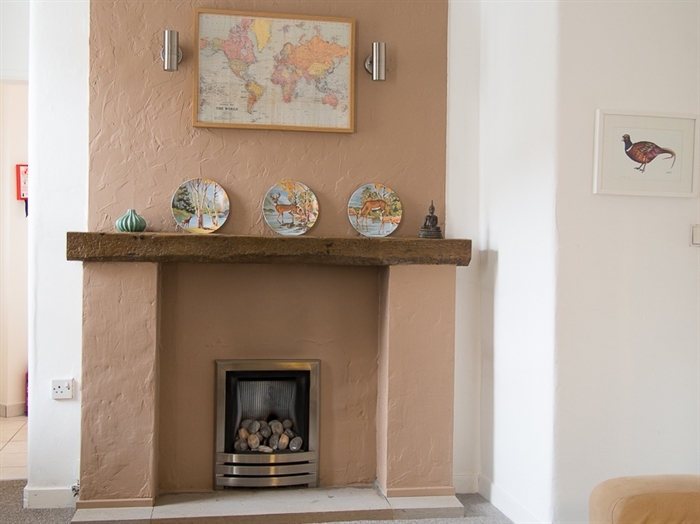 Duncan and Daniela live close by and can be contacted before and during your stay. We will try our best to meet you on arrival so we can explain how everything works and offer advice on Edinburgh's sights and sounds. We provide all of our guests with extensive recommendations based on our favourite places to eat, drink and visit in the city. Within the apartment, there are clear instructions for all of the appliances etc. Check in time is from 2pm but we try to be as flexible as possible. We can usually accommodate late arrivals, just let us know well in advance. As parents ourselves we understand there are certain things you need when you travel with young kids. Our apartment can easily accommodate a baby or young child and we can provide a travel cot, high chair etc if you need it. Contact us before booking and we will try our best to accommodate your needs.